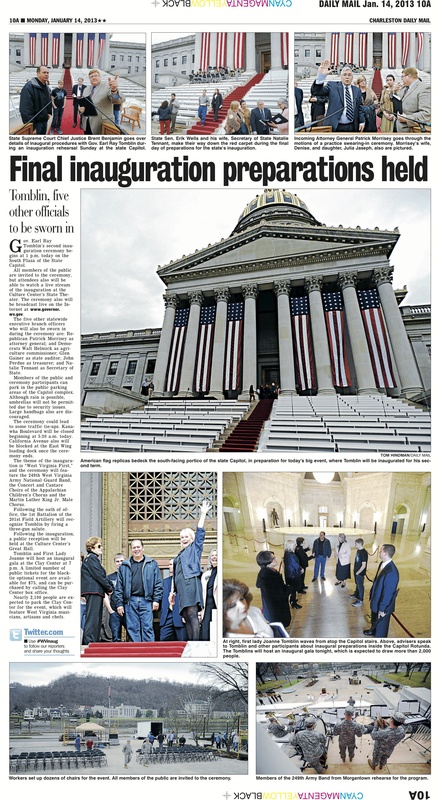 The day before West Virginia’s 35th governor was sworn in, our photographer headed to the Capitol to get photos of the final preparations. 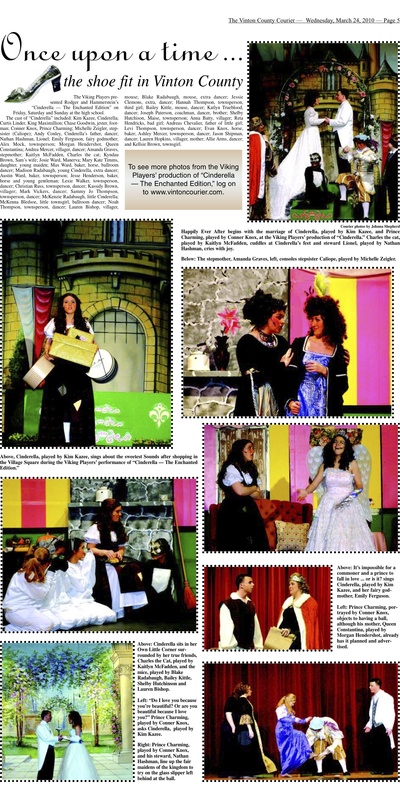 The result was this photo page filled with a variety of different activities taking place. 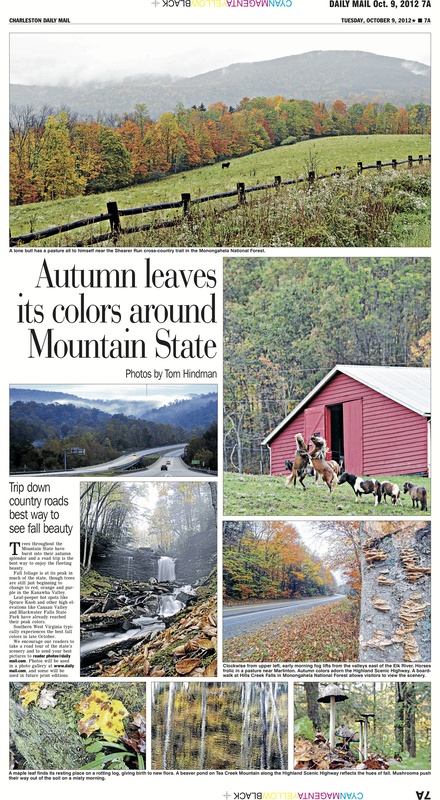 This photo page for the Charleston Daily Mail includes many beautiful shots of fall foliage around the Mountain State. There were many more photos; I had a difficult time choosing which photos were the best. In the end I think I encompassed a little of everything he shot. 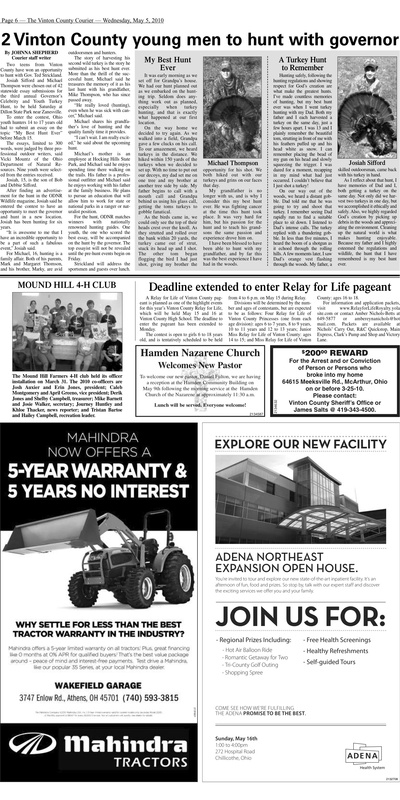 The May 5, 2010, edition of The Vinton County Courier included essays from two young hunters who got to hunt with the governor. 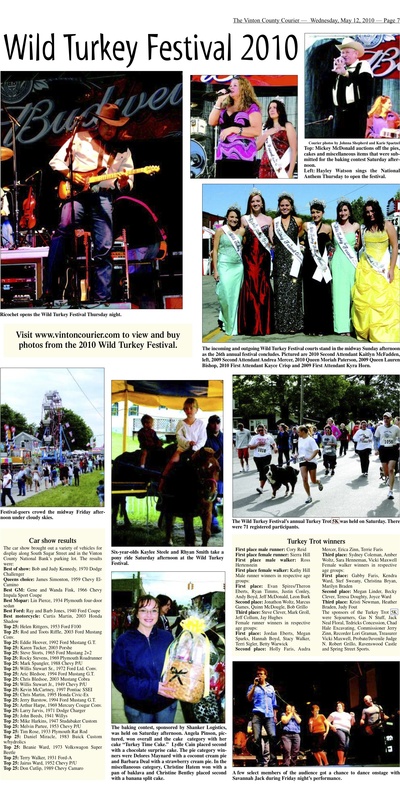 This photo spread was just one of many pages of coverage for the annual Wild Turkey Festival. 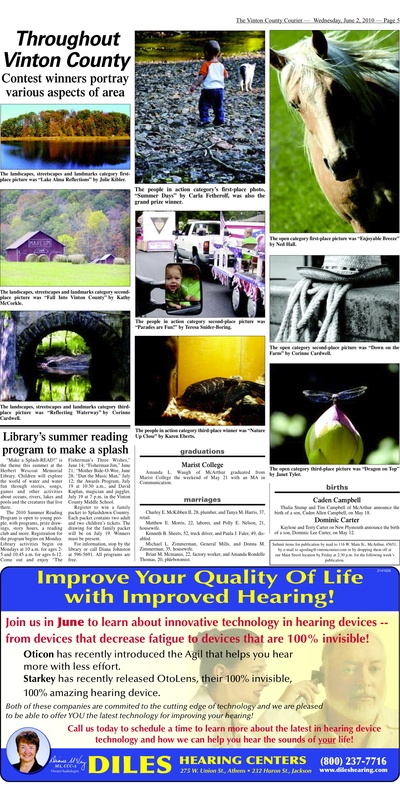 Every year, the Chamber of Commerce holds a photo contest. 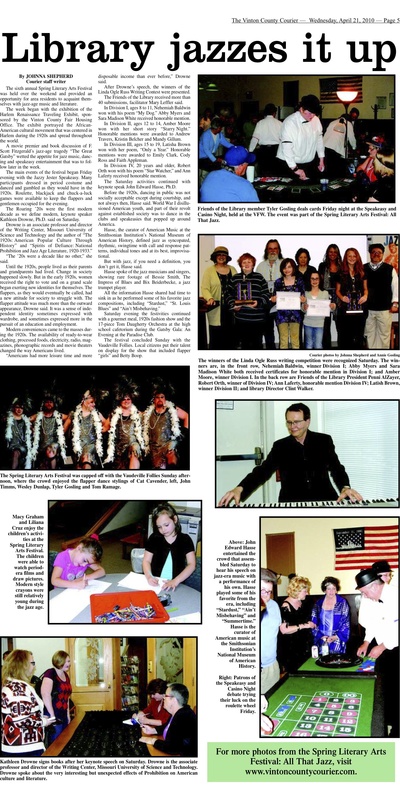 This page showcases the winners in the different categories. 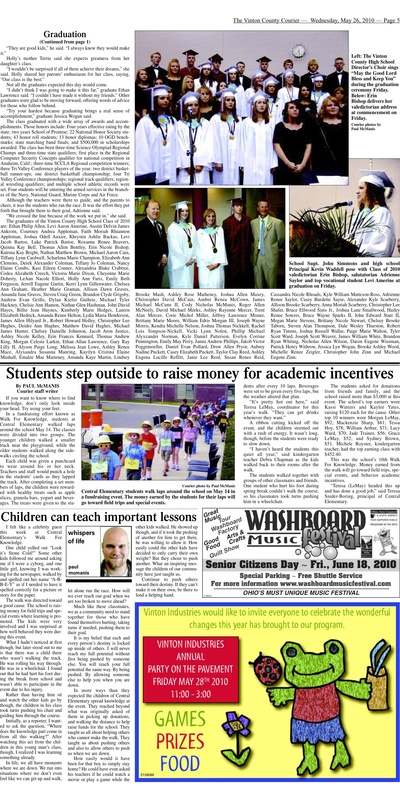 Finding a way to run the names of the entire graduating class, without the page looking gray, is always a challenge. This page uses several photos to break up the monotony of the long list.